E-Tech Yachting is the largest marine electrical and electronics specialist in Spain, serving the yachting industry worldwide. Based in Palma de Mallorca, E-Tech Yachting’s three facilities, plus manufacturing workshop, are able to handle all of the services required to design, build, install and maintain the finest electrical and electronic systems found on-board today’s vessels. 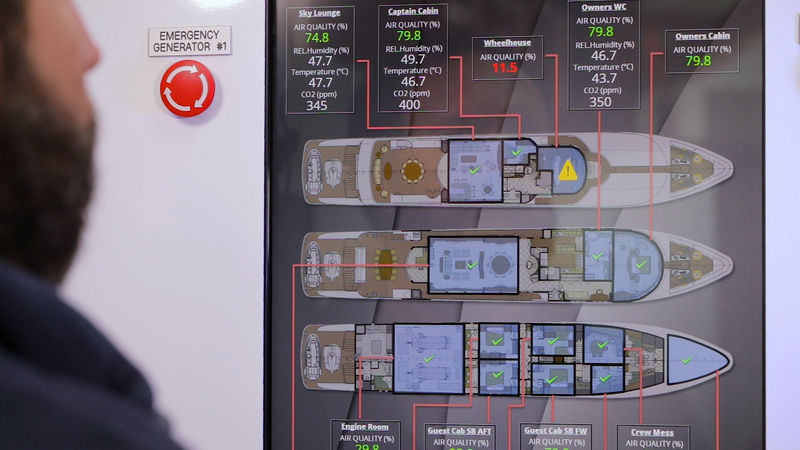 From integrating upgrades and new designs, to service and maintenance, E-Tech Yachting offers you worldwide service plus the experience and capability to, design, build and install your vessel’s unique power management system. From Europe to every corner of the world, our experienced and highly trained team of marine electrical engineers is available to carry out a full range of electrical surveys, fault finding, rectification and refit services, wherever your journeys take you. Through our collaboration with the finest names in the industry, on every project we undertake E-Tech Yachting is able to provide top-notch service and offer you the most innovative, reliable, top quality class approved products available. E-Tech Yachting gives you the performance and the peace of mind you can count on. ETY has recently signed a collaboration agreement with one of the top engineering university's in Spain. These future engineers will be trained and surveyed by ETY's own engineers as part of their studies to attain their Industrial Electronics and Automatisation engineering bachelor degree. EATON, a world leader in power solutions & technologies, have invited us to display our BLUEWAVE™ Panel at the SMM Trade Show in Hamburg 4-7 Sept. You can visit our main unit in STP Shipyard Palma - Best location for refit & repair in Mallorca to view the panel and experience it's capabilities. We had a successful 2018 Palma Superyacht Show this year and would like to thank everybody that attended our stand to view our innovative, interactive demonstration of the latest BLUEWAVE switchboard.